Time Travels India offers chauffeur Driven car rental services and Car Coach tours in India. We also offer Luxury, Deluxe and budget car rental services in Amritsar, Agra, New Delhi, Goa, Mumbai, Kolkatta and other cities of India. - Rates Innova will cost Rs.1700 for Local Sightseeing of Amritsar with Limit of 8 Hours & 80 Kms. Taxi Rental in Amritsar Provides all type of Budgeted taxi rental service in amritsar as well as in Punjab. 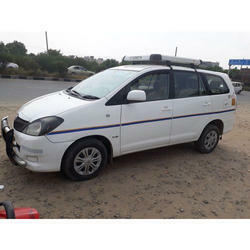 We have all types of Budgetes taxi - AC / Non-AC as per the customer requirements. We have all types of small and Budgeted cars like Indigo, Indica, Qualis or as per the customer requirement. You can also Rent a Taxi Rental Service on Per Day Basis & Per Km Basis Rate. Toyota Fortuner On Rent In Amritsar. we are OVO Cabs a company who provide self drive service to our customers. we deal in all cars, our cars are GPS service provider.The staff at our office is well known for their friendliness & intensive services and hospitality. Our Drivers are well trained to understand and meet customer expectations including guests from abroad. We are a top-notch organization, engaged in providing Toyota Qualis Rental. Sometime people wish to explore tourist destination with their friends or family members without any kind of outer interference, and at such time Taxi hiring service is best option. This option is widely sought as it is a convenient, speedy but enough affordable option. Travel around the city of golden temple by the best cab.